Home>News of Construction and Building > Fight against smog ! Problems with smog are now not only Chinese issue. 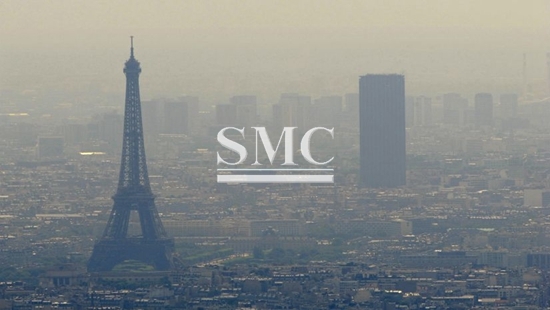 The number of cities dealing with air pollution is increasing and you have probably heard about current heavy pollution in Paris, a city of love. But it isn't very romantic to spend a day with a mask on your face, is it? A team of ambitious students at the University of California came with an amazing idea and developed a great weapon against air pollution. They created roof tiles coated with titanium dioxide which can break down smog-forming particles in the atmosphere and eliminate a big percentage of nitrogen oxide gas emitted by cars and power plants. Titanium dioxide is inexpensive chemical found in a huge number of everyday products. The interesting fact is that it is so inexpensive that the whole average-sized residential roof can be covered with it for $5.0. Smog is cause by nitrogen oxide gases that react to sunlight and students discovered that using these special roof tiles can remove 88 to 97 of this oxide pollution and break down into less harmful compounds.